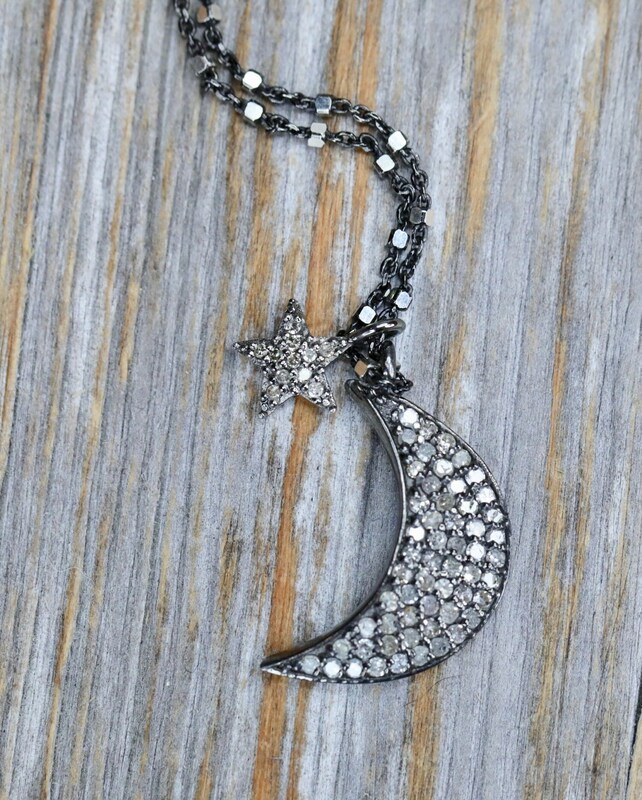 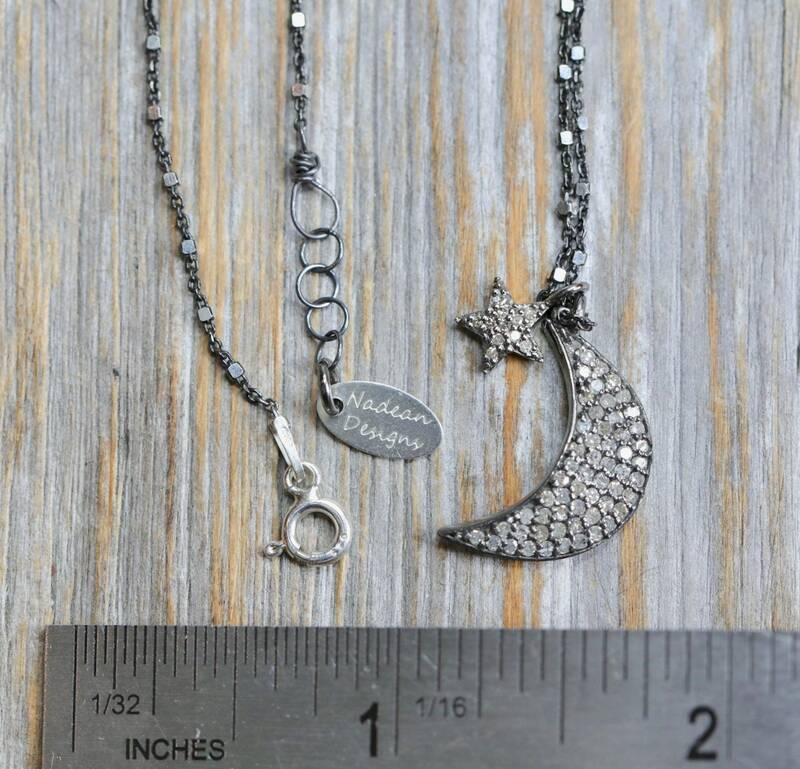 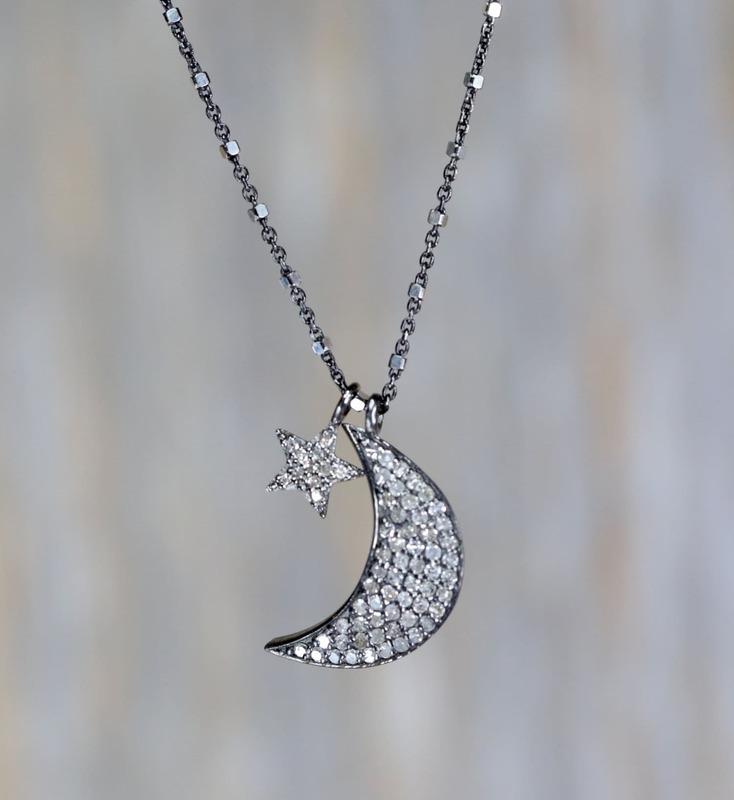 This is a genuine pave diamond crescent moon and star pendant necklace set in oxidized sterling silver. 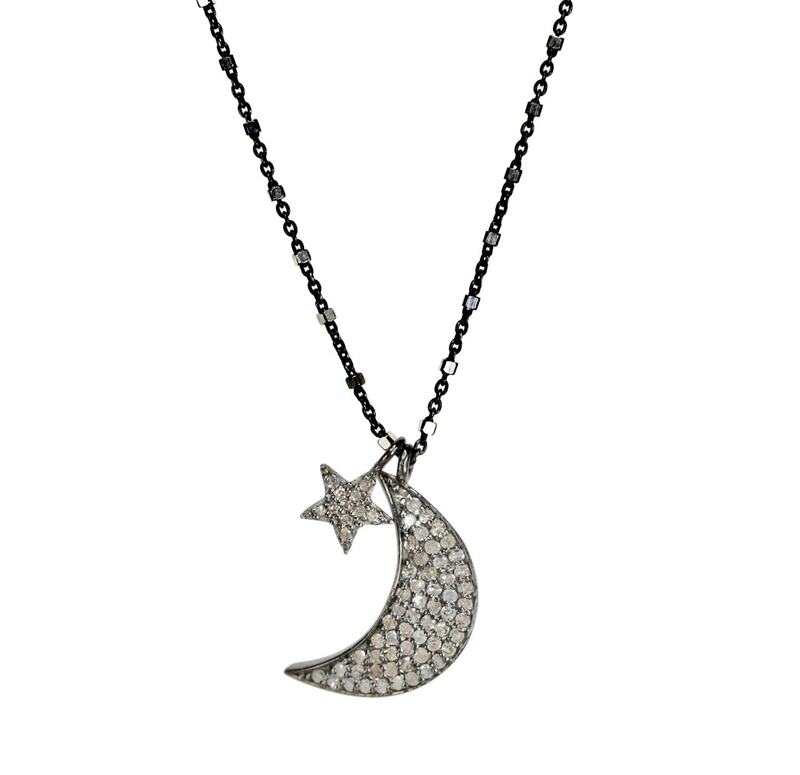 The moon and star hang from a high-quality sterling silver satellite chain with both oxidized and shiny .925 sterling silver. 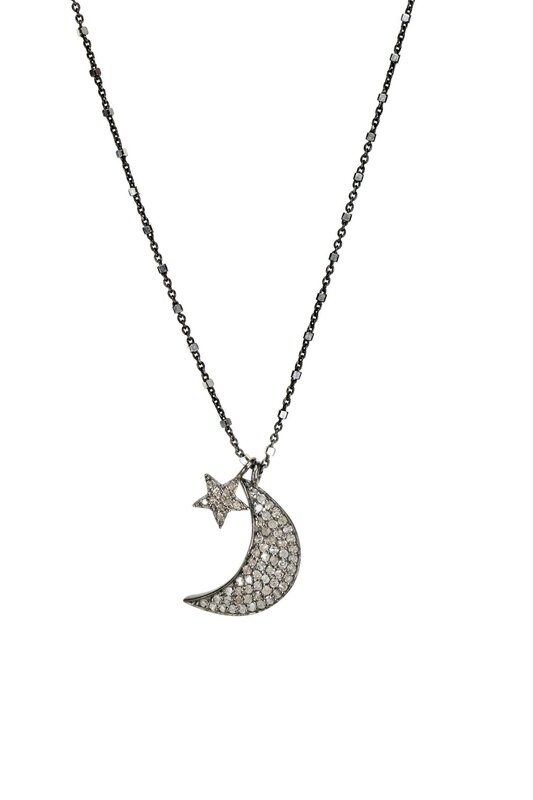 Simple Modern and Elegant this moon layers great with your collection or stands alone.